Blueberry yerba maté, our favorite flavor. Bombilla & Gourd Yerba Maté is one of the new debutantes in the bottled maté category. It’s both USDA-certified organic and kosher. Maté (MAH-tay) is an infusion of the yerba maté leaf, grown in the South American rainforest. (It’s actually a variety of the holly bush). Maté is a superfood, one of the most nutritious beverages on earth—it has 24 vitamins, 15 amino acids and 90% more antioxidants than green tea. While it has more caffeine than energy drinks, its overall cocktail has calming properties that deliver jitter-free “calm energy.” Traditionally brewed in a dried gourd and drunk hot from a bombilla (metal straw), cold maté drinks are growing in popularity, and should become the hot new drink as more people realize the benefits it has over energy drinks and coffee. The Bombilla & Gourd line is available in five flavors: Blueberry, Lemon, Mint and Honey, Peach and Pomegranate. Our favorite is Blueberry, with Pomegranate in second place. Read the full review of Bombilla & Gourd, and check out our reviews of Guayakí Maté (bottled tea and tea bags) and Sol Maté, a sparkling cold drink that reminds us of a refreshing beer. What do master chocolatiers cook and bake for themselves? You can find out in Lindt Chocolate Passion, a new book that chronicles the history of premium chocolate and Lindt’s evolution as a world chocolate power (it is the world’s largest producer of mass-market premium chocolate, defined as chocolate priced from $15 to $25 per pound). In the midst of it, you’ll get what the Swiss chocolate manufacturer describes as “a robust collection of gourmet dessert recipes.” The recipes were contributed by Lindt’s master chocolatiers from around the world, who share the recipes and techniques they use when cooking and entertaining for their own family and friends. Recipes categories include Truffles; Bark Fruit and Fondue; Mousse, Creme and Parfaits; Cookies and Brownies; Cakes; Tarts, Cheesecakes, and Small Desserts; and Chocolate Drinks infused with chocolate. First, you melt the chocolate. Photo by Diego Basseggio | SXC. The book is available in Lindt retail stores nationwide and online at LindtUSA.com, for $35.00. Read our review of Lindt Excellence chocolate bars, the finest chocolate in the line. P.B. Loco—one of our favorite peanut butters. National Peanut Butter Month doesn’t begin until November 1st, but our friends at P.B. Loco are offering a free jar of CoCoBanana Peanut Butter (chocolate banana peanut butter—no coconut) when you buy five jars of any flavors. It’s not too hard to buy five jars of their PB: In addition to the CoCoBanana, we go ape for the White Raspberry Chocolate, Sun-Dried Apricot, Sumatra Cinnamon & Raisin and Jungle Banana (without the chocolate). On the savory side, Sun-Dried Tomato is dynamite, and Asian Curry Spice makes instant noodle dishes. 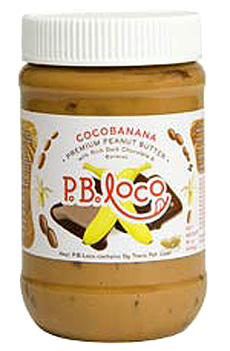 All you need to do is go to PBLoco.com and (1) add any five jars of any peanut butter to your shopping cart, then (2) add one jar of CoCoBanana Peanut Butter to your cart, (3) enter coupon code BIGIDEA, click recalculate, and make sure $6.95 is subtracted from your bill. This special offer expires October 25th, so don’t let a nutty good thing pass you by. Read our full review of P.B. Loco Peanut Butter. Only 10% of the people who eat kosher food are Jewish. Now they, and the 90% of non-Jewish kosher food buyers, can enjoy breakfast sausage. Hebrew National, the iconic kosher hot dog company, has launched the first 100% pure beef breakfast sausage links available in the marketplace. 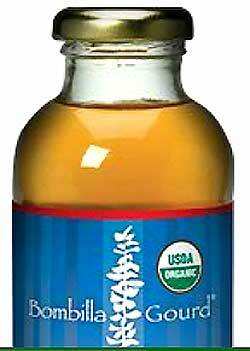 There are three varieties—Original, Maple and Reduced Fat, which is 25% leaner than Original. The sausages are already cooked—just heat and serve. Like all of Hebrew National’s products, the sausage links are free of artificial colors, flavors, fillers and by-products. The suggested retail price is $3.79 for a pack of 10 links. So who’s buying all that kosher food? People with allergies, vegetarians and vegans (who are assured by the designation of no animal products in the recipe) and Muslims, among others. Foods are kosher dairy, kosher meat or “pareve,” neutral. Kosher products with meat ingredients are indicated (M) or meat, those with dairy have a (D) designation, and those that are pareve have the word pareve imprinted. 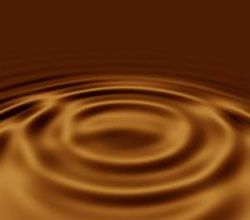 Some items that have no dairy ingredients, such as bittersweet chocolate, have a (D) designation because they are made on the same processing equipment as products with milk ingredients. This is based on the belief that elements of dairy potentially absorbed by the equipment may be transferred to the non-dairy products. Read more in our overview of the $40 billion kosher food industry. Jumbo fudge-covered marshmallows. Holy Jumbo Marshmallow, Batman! One of our favorite sweet discoveries of the year is the fudge-covered marshmallows made by Momma Reiner. This fudge-making California mom took the next step in product development and dipped big, handmade marshmallows into her semisweet chocolate fudge—pure inspiration. Even without the fudge, the marshmallows are delicious; but together, a star is born. Classy snacks, one of these ample confections can stand in as a fancy dessert on a day when you don’t have time to think of doing more. But for sure, a box will brighten the day of the lucky possessor. While kids will go ape for the marshmallows, these are definitely adult-quality goodies. Buy them as gifts for everyone you know with a sweet tooth. Buy extra boxes—they’ll be back begging for more. 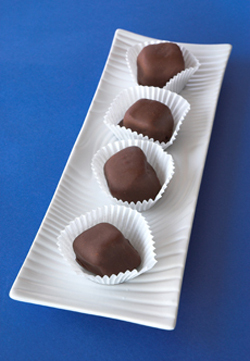 Read our full review of Momma Reiner’s fudge and fudge-covered marshmallows.